To start the Disk Defragmenter in Windows 7 please start the MS-Explorer with keys [Win-Logo]+[E]. Please select the disk you want to defragment (Image-1). Info: Removable storage devices such as USB flash drives can also become fragmented. Tip: Click under Error-checking, "Check now" to Check your hard disk for errors. Fragmentation makes your hard disk to do extra work that can slow down your computer. Removable storage devices such as USB flash drives can also become fragmented. Disk Defragmenter rearranges fragmented data so your disks and drives can work more efficiently. Disk Defragmenter runs on a schedule, but you can also analyze and defragment your disks and drives manually. To determine if the disk needs to be defragmented or not, click "Analyze disk". After that: click "Defragment disk". Only disks that can be defragmented are shown. To test determine if your disks need defragmenting right now, you need to analyze your disks first. Shortcut key for disk defragmenter or new disc defrag on window 7 home premium? Defragmitizer for explorer 7 and how to defragment in windows 7 32 bit? Disk defragment & disk management in win 7 for defragmantatipn on 7 ultimate? Defragmentor not working on windows 7 32 bits how to enable disk defragmentation? Win 7 where is my icon to windows defrag where's defrag on windows 7? 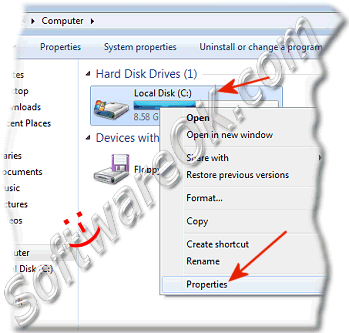 how to enable the Disk Defragmenter in windows 7 home basic? windows 7 can't run disk defragmenter? how can i defragment local disk c on windows 7? Defrag local disk c windows 7? How to find disk image in win explorer? How to defragment windows 7 home basic? download microsoft windows 7 disk defragmenter? 32 bit disk defragmentor windows 7? Shortcut key for disk defragmenter? activate disk defragmenter win7 ultimate? How to defrag windows 7.0 home edition? Where is the disc fragmenter on windows 7? how to defrag disk image? Windows 7, Only disks that can be defragmented are shown? disk defragmenter windows 7 log?